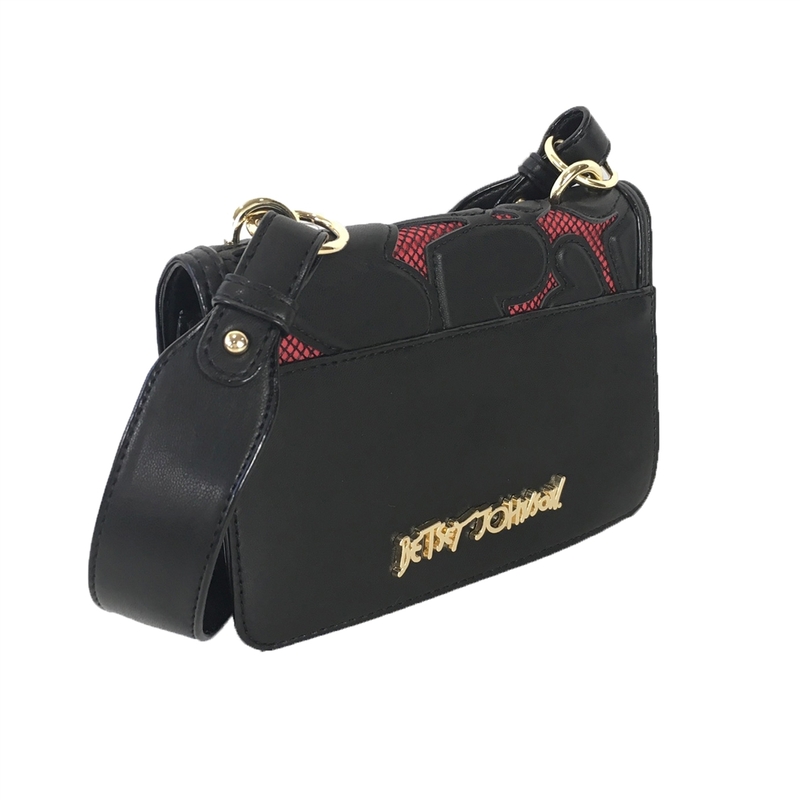 Show off your passion with the Betsey Johnson Bachelor of Fine Hearts crossbody. 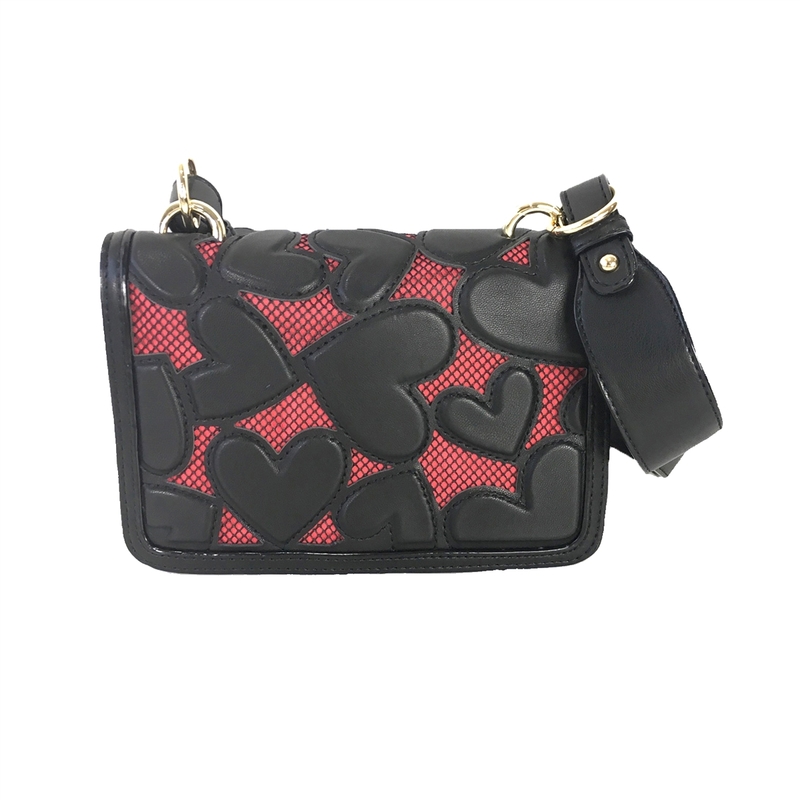 Its compact shape features lace heart design, and is roomy enough to carry all your essentials. 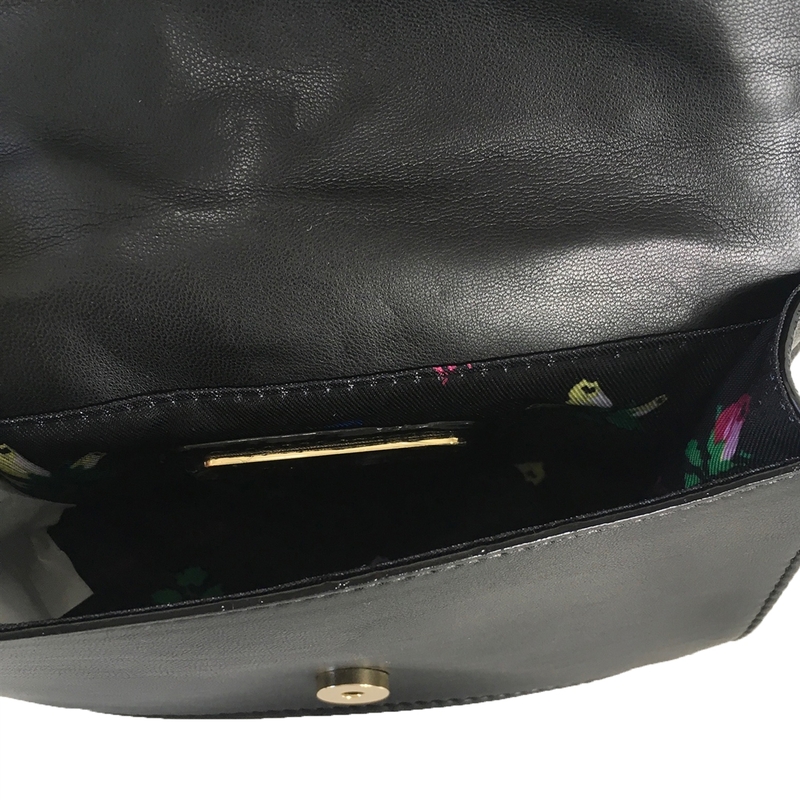 Crossbody crafted in vegan leather. Front features a heart cut out design with a red lace backdrop. Back logo plaque. Custom golden hardware. Strap with 19" drop.